The holiday season is among us once again. Next week will be filled with turkey, gravy, stuffing, football, and making memories with family and friends. Now knowing that family is coming over you want to have everything in place and looking nice, including your carpets. So many ask themselves should I have carpet cleaning done before or after the holidays? Here are a few things to think about when scheduling your carpet cleaning. How dirty are your carpets? If you have minimal stains then it could probably wait. Moving your furniture around wouldn’t hurt to cover up those small stains. Most guests don’t realize you have minimal stains because they will be too busy enjoying their time at your home. Wait until they leave before hiring a carpet cleaner. This way not only will you get rid of the old stains but you will also get rid of any new stains that may have been created during that Thanksgiving dinner. However, if you have stains everywhere and are very obvious and in your face then its probably best to have carpet cleaning done before the guests arrive. No wants to walk into a home where they will be staying or eating at and see big nasty stains everywhere. Its not only unpleasant for the guests but can be embarrassing for you the host. People want to walk into a fairly clean home and be comfortable and no think about what else is dirty if your carpets are that dirty. If you do decide to have your carpets cleaned before guests come over you should consider having a carpet sealant put down as well. This will protect and prolong the life of your carpet as well as make removing any spillage from Thanksgiving dinner easy to remove. If something were to spill on your carpet while you have carpet sealant you would just need to blot the stain with hot water and white towel. Wet the area as much as possible without over soaking the carpet. Blot the stain out do not rub it in. Blot until the stain comes up and most of the water. Then vacuum over the area until it is almost dry in order to avoid having water set in the carpet. 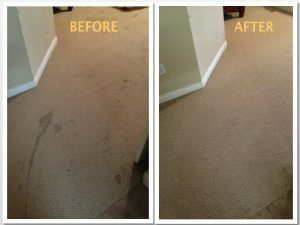 Carpet sealant is a simple and easy solution to stains that may come along after having spent money on carpet cleaning. Beyer Carpet Cleaning is your go to carpet cleaner for the holiday season. They are inexpensive so you will have money left over for that turkey and ham. Carpet Cleaning for all your rooms and halls up to 2,ooo sq ft of carpet is only $139.99. To add carpet sealant it’s only $18.99 per room but of you put sealant in more then 3 rooms the price is $16.99 per room. 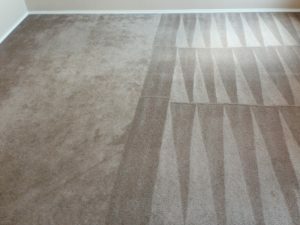 So if you decide to clean before your guests arrive or after they leave Beyer Carpet Cleaning has your back either way!